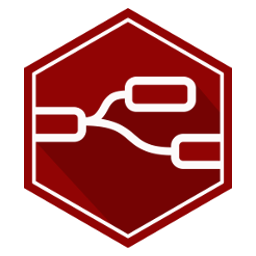 Node-RED is a Flow Based Programming tool written in node.js and using a web front end for wiring together hardware devices, APIs and online services in new and interesting ways. 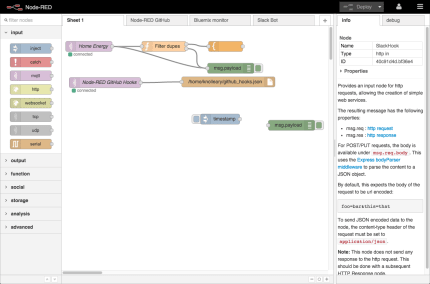 Many extra nodes are available (see http://flows.nodered.org), and can be installed via the Menu - Manage Palette option. Due to the restrictions of snaps nodes that require extra access to files, ports, or have a binary component, may NOT work or install correctly - unless run in "classic" mode. This is not the default.